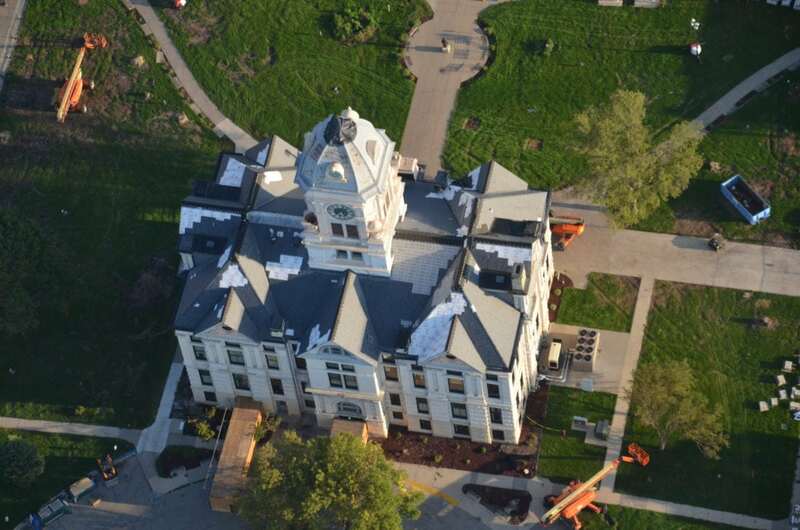 T-R PHOTO BY GARRY BRANDENBURG Damage repair at the Marshall County Courthouse as seen from the sky on Thursday. Temporary roof patching will help keep rain out, but extensive interior work will be ongoing for months. will be ongoing for months.